Sir Harrison Birtwistle’s new opera, The Minotaur, commissioned by the Royal Opera House, opens on 15th April 2008. Anything Birtwistle writes is going to be significant, as he’s one of the great living composers. The Minotaur, though, from all accounts so far, is going to especially exciting because it’s the latest stage in the long journey the composer has taken through themes inspired by Greek myth. It represents a work of depth and maturity, marked by great beauty. The production will also be definitive, as many of those working with him are closely attuned to his idiom, having worked with him for many years. The Minotaur is almost certain to be a major event in British music history. The Royal Opera House recognised its importance by organising an event where Sir Harrison himself discussed the work. "I write music" said Birtwistle in a masterpiece of understatement. His music seems to flow from a very deep source indeed. The thread that leads us to this Minotaur began a long time ago, manifesting not only in operas like The Mask of Orpheus but in orchestral music like Earth Dances and Theseus Games. Birtwistle likes journeys, cycles that repeat and progress. In the original Gawain (also with a libretto by David Harsent), the seasons unfolded for half an hour. He likes intricate, elaborate puzzles, too. As Philip Langridge commented perceptively, "He writes mathematically, in the way Bach writes mathematically, but with great emotion. To sing Birtwistle," he adds "you have to understand the ‘maths’ first, to get the figures right, to get the intervals right". For an opera that lasts 2 ½ hours, the libretto is surprisingly concise, a hint perhaps, of the importance of the orchestration. There are a number of "toccatas" written between scenes. Birtwistle uses the term in its most ancient sense, to form distinct breaks between the sections. Since the music isn’t as yet public, it can’t be described here. But those who know it emphasise its remarkable emotional power. Andrew Watts, who sings the role of The Snake Priestess, says Birtwistle’s writing has mellowed beautifully. "It’s almost as if he is writing from his soul now, absolutely. He has no need to prove anything, he’s writing for the sake of writing….the first time I encountered a Birtwistle opera, it was huge and I thought no one could be heard, but this score is extraordinary! There’s this lucid transparency with the textures and you know exactly what each person is singing. It’s gorgeous, it’s mature, it’s even got a bit of Barberesque string writing, but it’s so original". If anything, notes Philip Langridge, Birtwistle’s music has become more impressive with time. John Tomlinson, for whom the composer wrote Gawain, asked about the two different tempi in the Minotaur’s death scene. 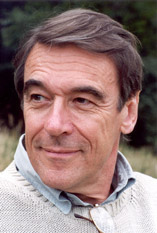 Birtwistle explained that they represented the body and the brain, which doesn’t stop until death is finally reached. Birtwistle isn’t, Langridge says "very ‘subconscious’ but he writes straight, without a method or plan", he adds. "When Harry says he’ll write a piece for you, you think you’ll have to take a deep breath and sing loudly. But that’s not the case". Four years ago, Birtwistle wrote Today, Too, for Langridge, accompanied only by flute and guitar. "It was so quiet, so gorgeous….he’s always written well for the voice." Andrew Watts says that Birtwistle’s sensitivity to singers is such tha when he wrote the exquisite Orpheus Elegies for Watts and a chamber ensemble, he used all the individual idiosyncrasies of Watts’ voice. Philip Langridge created the role of Orpheus, in The Mask of Orpheus and later King Kong in The Second Mrs Kong so the relationship goes back many years. How does the Minotaur fit in with Birtwistle’s earlier work ? "I’ve noticed a huge difference. I was talking to John Tomlinson about this, who has also known Harry for a long time, and we felt that this was perhaps the first time we’d heard real melancholy, except perhaps in the Io Passion" (written for smaller forces, and also directed by Stephen Langridge). “It is very beautiful. The great thing is that he is able to write the Minotaur for a great stentorian bass and yet it’s terribly melancholic. The feeling is in the orchestration and in the vocal line, too. The Minotaur has an ‘inner voice’ which speaks for him in the opera, and it’s terribly sad." When the Minotaur appears in the fifth section of the opera, John Tomlinson, who plays the role, has to roar unintelligibly while he’s goaded by the crowd, who call him “man-freak” and other cruelties. Only when he is asleep can he express himself. As the libretto puts it, "In dreams I seem to speak like any man….I howl the words, I cry the words" Indeed, Birtwistle says that the Minotaur is the only “true” innocent in the drama. Theseus and Ariadne both have mixed motives, but the Minotaur had no choice, born into a situation over which he had no control. "There are people like that in this world", adds Philip Langridge. "Singing without words", says Philip Langridge, "taught me things about myself, I think. You can’t ‘act’, you have to really ‘be’ that person, gradually becoming the person." He adds "The Mask of Orpheus was a baptism of fire. It started off with a sunrise, it was the birth of Orpheus. The music started very quietly, half an hour before, when people were still coming in. They saw this summer aura on the stage, and gradually the volume of the music increased and slowly the lights went down. People were saying, ‘Have we started ?’ I was all the time in complete darkness, under a huge tarpaulin which covered the stage, and they had ropes at the side of the tarpaulin which pulled it up very, very slowly. It was a fifteen minute sequence from when the ropes started to lift and I appeared, singing ‘I am Orpheus’. " The Minotaur starts with Ariadne on a beach alone, at night. A ship appears on the horizon and very gradually dawn illuminates the stage. Indeed, wordless singing is at the core of what may well be a pivotal point in the whole opera. The tenth section is set at Omphalos, the centre of the world. Langridge’s character, Hiereus, is the only person who can translate the utterances of the Snake Priestess, the voice of the Oracle. As Langridge says, this part doesn’t appear in the traditional telling of the myth. So if Birtwistle includes it, it’s for a significant reason. Andrew Watts, recalls Birtwistle telling him "I’ve written you a marvellous role !" But as Watts also notes, it’s "pure, unadulterated hell" and the words are in "Klingon". A single unintelligible line is repeated continuously sotto voce with only short diversions. This scene is crucial because it’s where Ariadne gets the thread with which Theseus escapes the labyrinth. But she gets the thread only because she has satisfied The Snake Priestess that she has spoken the truth, and acknowledged her real motivations. It’s a difficult scene, too. Philip Langridge spoke about it with his son Stephen, who directs the opera and is a Birtwistle specialist too, having previously directed the Io Passion and The Mask of Orpheus. "We worried that lines like 'The question is : what is the question ?' might seem strange or comic, but suddenly realised how direct they really were", he said. But the Oracle gets to straight to the point, "like the Mafia", as Langridge says. Hiereus is only the spokesman, he can only channel and repeat the rules about "only one question". Ariadne faces up to her fear and answers correctly and there’s a pause. "What happens?" asks Langridge, "obviously something was not understood by the translator and suddenly the Snake Priestess tells Ariadne she will set sail with Theseus to go to Athens, even though she’s not supposed to get the extra answer. " So what’s the significance? Perhaps it’s because Ariadne admits to fear. Langridge adds, "I work with young artists and most of their problems arise from fear of failure. However nervous they are, the one thing they won’t admit is fear". It’s an intriguing thought. As is so often the case with pivot points, the scene is emphasised with a remarkable coup de théâtre. "All of a sudden" Andrew Watts says, "“The Snake Priestess comes out at full tilt, suspended four metres above the ground, on a kind of metal plinth. The first time I did it, I was absolutely terrified and went back to my room and had a little weep, but now I think it’s going to be alright. There’s no getting away from it, this strange creature! Such power! It’ll be interesting to see how many people get it, as I’m dressed as a woman with huge, huge breasts, quite frightening, and people will think, "It’s a man’s voice, but it’s so high !" Ambiguity is part of the meaning, which is why Birtwistle wrote the music for countertenor. Countertenor roles have blossomed over the last ten years, as composers explore the possibilities the voice type can offer. No longer are roles confined to the baroque. Watts himself has premiered no fewer than 26 new pieces. Recently he sang two operas in two countries in one month – Henze’s L’Upupa und Die Triumph der Sohnesliebe in Hamburg and an opera by Emmanuel Nunes in Lisbon. He also sang in Olga Neuwirth’s original Lost Highway, where a trio of countertenors sings offstage. 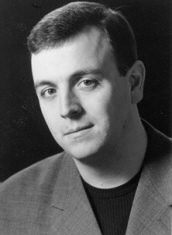 He’s co-director with Nicholas Broadhurst of the London Contemporary Group, which Birtwistle supports. 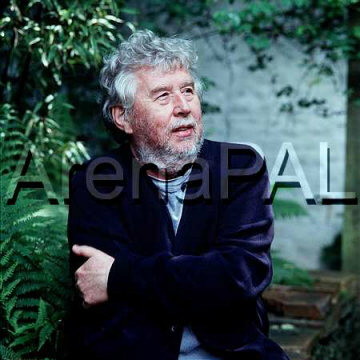 Forty years ago, Birtwistle was part of the new wave in British music. With The Minotaur, it seems he’s still leagues ahead of everyone else. The Royal Opera House sales page for The Minotaur is here.